The capital of Ireland, Dublin is a charming city that boasts beautiful architecture and stunning scenery. The city is also one of the most vibrant centres of technology and innovation in the world and is home to a talented population, thus bringing the need to pursue a technical course as part of career progression plans. KnowledgeHut through its e-learning platform enables aspirants to enrol for the CSD Certification in Dublin with the backdrop of this enterprising city. What is the course all about? The CSD Training in Dublin is an intensive 5-day workshop led by an expert trainer. The coaching will begin with an introduction to CSD basics including discussions on Scrum roles, ceremonies and artifacts. The second day will focus on CSD specific topics which will cover Gherkin, Fitnesse and Selenium. There will be lectures and practice sessions covering the various subjects as the CSD Certification in Dublin progresses. Towards the end of the CSD Course in Dublin, you will complete exercises on TDD, Refactoring and Continuous Integration. The course will conclude with a recap of all that was covered by the KnowledgeHut tutor. Benefits of the course: Available at a low cost, there are many advantages of this course from the KnowledgeHut academy. 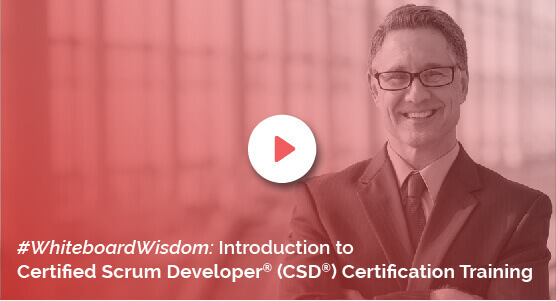 You will gain 40 PDUs and SEUs upon completion, and the course material and detailed coaching will arm you with the ability to apply Scrum in your organisation. You will be able to use object-oriented techniques to deliver software that helps in supporting iterative processes. The course fee includes the Scrum Alliance Certification Examination as well, the successful completion of which will add a significant career credential to your profile. The KnowledgeHut Way: The Certified Scrum Developer Training in Dublin by KnowledgeHut Institute is delivered through an e-learning platform that blends easy accessibility with a live classroom environment. If you are keen to learn more about the learning methodology and platform of KnowledgeHut?sCertified Scrum Developer Certification, register for a demo session.